Creating the products and services that you offer to your clients. 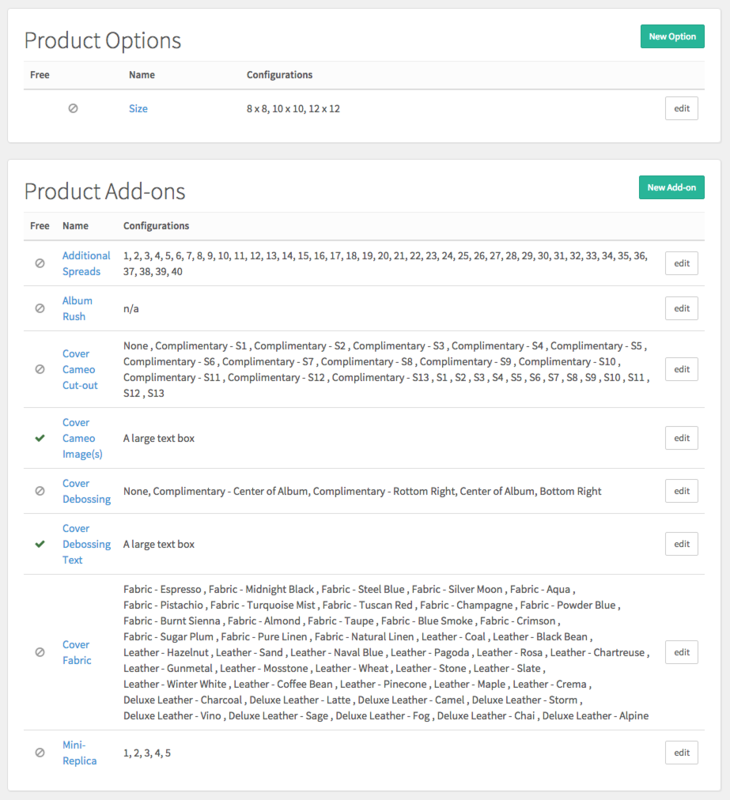 Building a product in Settings gives you a way to use predetermined line items on your quotes and orders, and you can track your product sales history in your Product Booking Report. 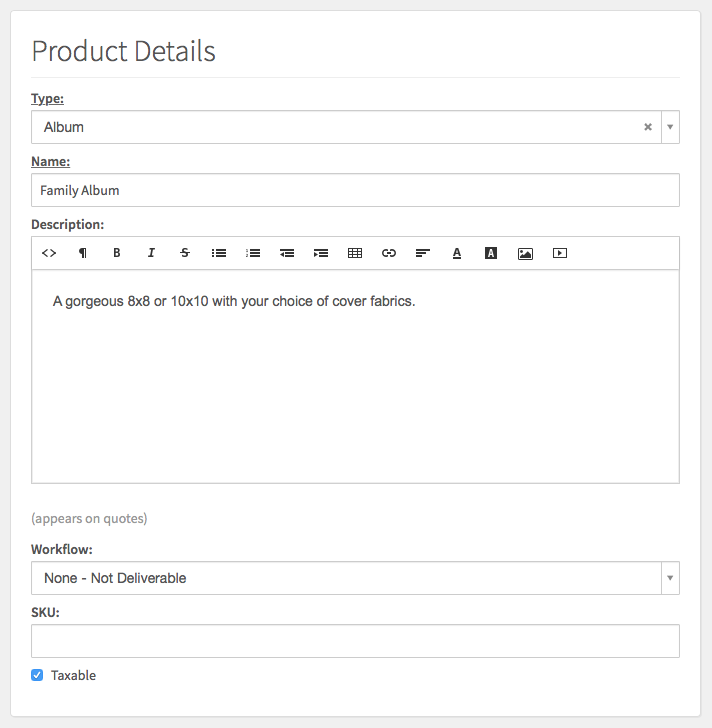 When creating a product, you’ll give the product a type (you can customize this to fit your business in Settings › Product Types), a name, and a description. If you have any deliverable workflows set up, you can attach those here as well. 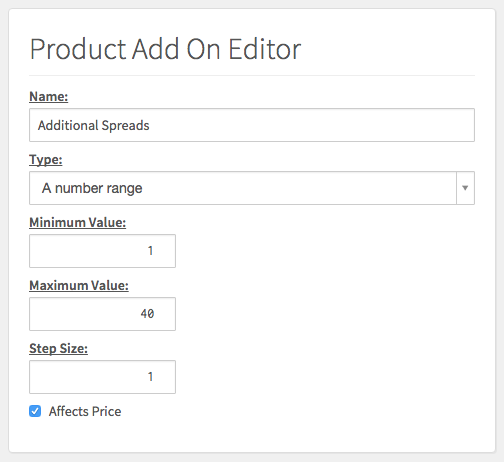 After giving your product this information, simply click on the ‘Pricing Editor’ button to set the cost (to you) and the price (what your client pays). 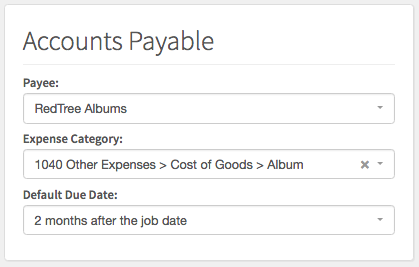 When you’re building a product, you can set the default payee, expense category, and default due date. These settings are used to help build your accounts payable report. When a product is ordered by your client, a new ‘anticipated expense’ will be created on the job’s Financials tab. 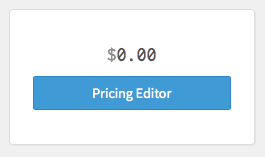 The amount is pulled from the number you set for ‘Cost’ in the pricing editor. This means that the expense is expected to be incurred in the future. If you choose not to set a default due date, the expense will be on the Accounts Payable section of the job’s Financial tab. By setting the default due date, you can set the relative due date for when you expect this expense to be incurred relative to when the order is booked or the job date. For example, you expect that the wedding album expense will come due 2 months after the wedding. Learn more detailed information about accounts payable here. Here’s where products become really powerful. You can fine-tune them to have lots of different options and have each of those options and configurations have a specific price. The product to the left shows three sizes as the base option, then several add-on options. Once you start adding different configurations and go to the ‘Pricing Editor’ button, the simple pricing editor that we saw earlier will turn into what’s called a ‘Pricing Matrix’. 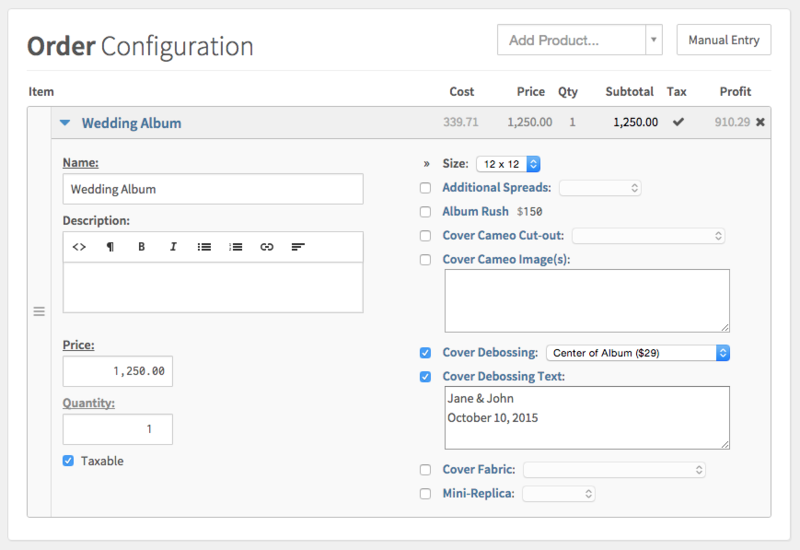 Here you’ll be able to configure costs, prices and markup per configuration. 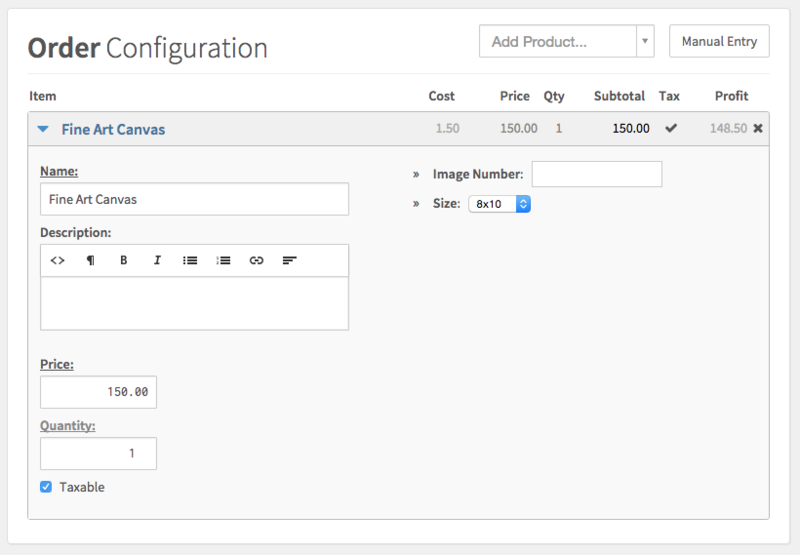 Think of the product options as required configurations for a certain product. 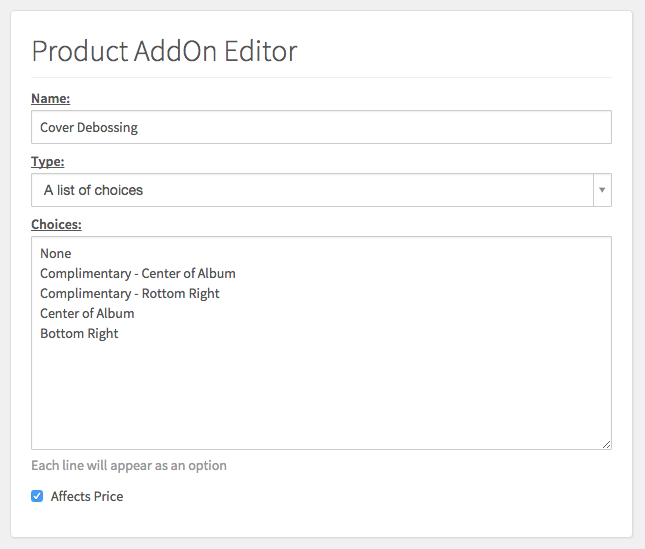 Add-ons, on the other hand, aren’t required in order for the client to purchase the product. 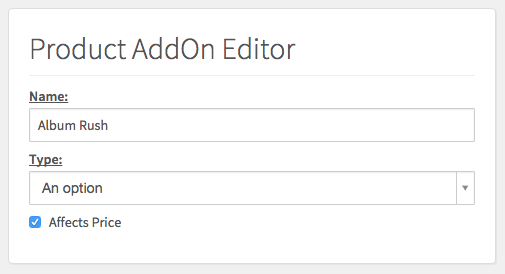 The options and add-on editors will give you several different types of configurations you can chose from: A list of choices, a small text field, a large text box, an option, and a number range. Depending on which type of configuration is selected, you can set them so they have no effect on price or you can check the check box for ‘affects price’. You can set up a list of choices for the configuration by adding an option per line. 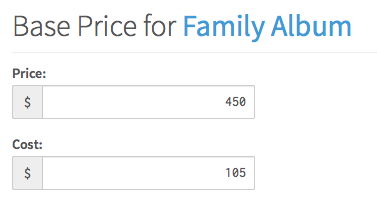 Selecting ‘affects price’ will add a place in your pricing matrix to set a cost and a price for each choice in the list. Notice how two of my options, I’ve labeled as complimentary but they still have a cost to me so I have them as options that cost me $20 but are $0 in price for the client. When added to the job, we can select the size and record the image number in the small text field. A large text box cannot affect the price of a product but you can use it to record certain information about a specific product. Often they are used alongside another type of configuration. Below is a list of choices that affects price and a large text box where we can record the text. An option is a single choice. Basically a yes or no check box. It can affect the price and will be added as an option to your pricing matrix. A number range can be used for number units which can have incremental options. The add-on option below sets the number range to start at 1 and go to 40 with a step size of 1. 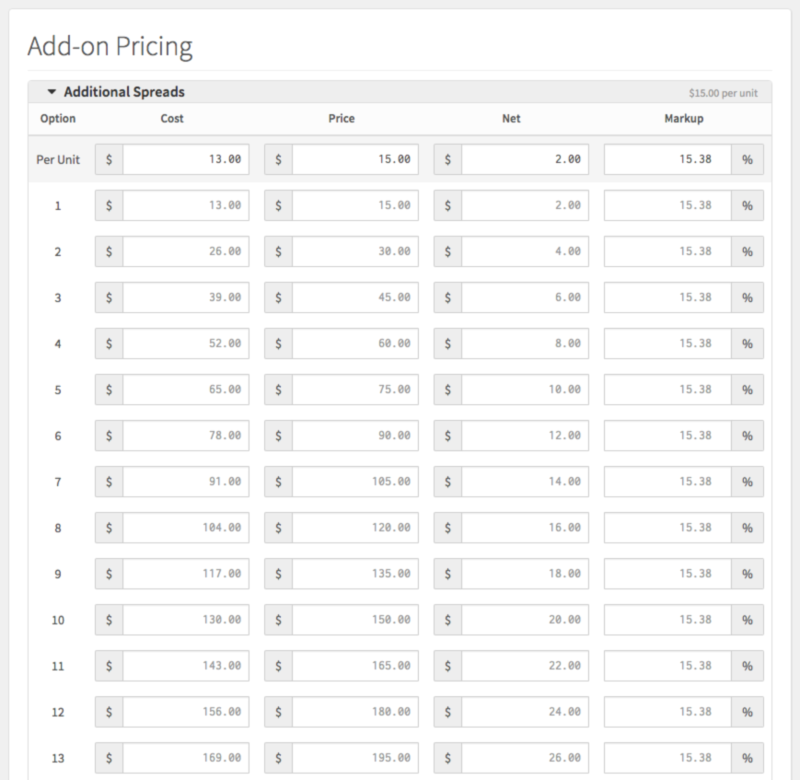 In the Pricing Matrix, you can set the cost and price just for a single unit and each incremental step will update accordingly without you needed to calculate it manually. When prices or descriptions for products are updated in Settings › Products, the changes won't affect any past or current uses of the products on booked orders or open quotes. One thing to note when changing the products is that if they're used in any packages in Settings › Packages or in any quotes in Settings › Quotes, you'll need to swap those out with the new version of the product to take effect in those areas.